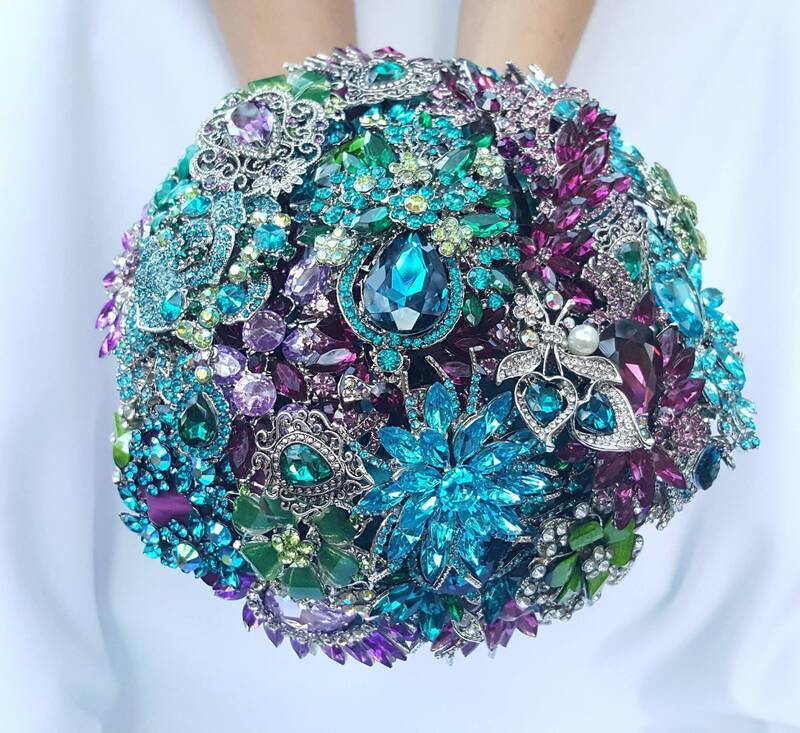 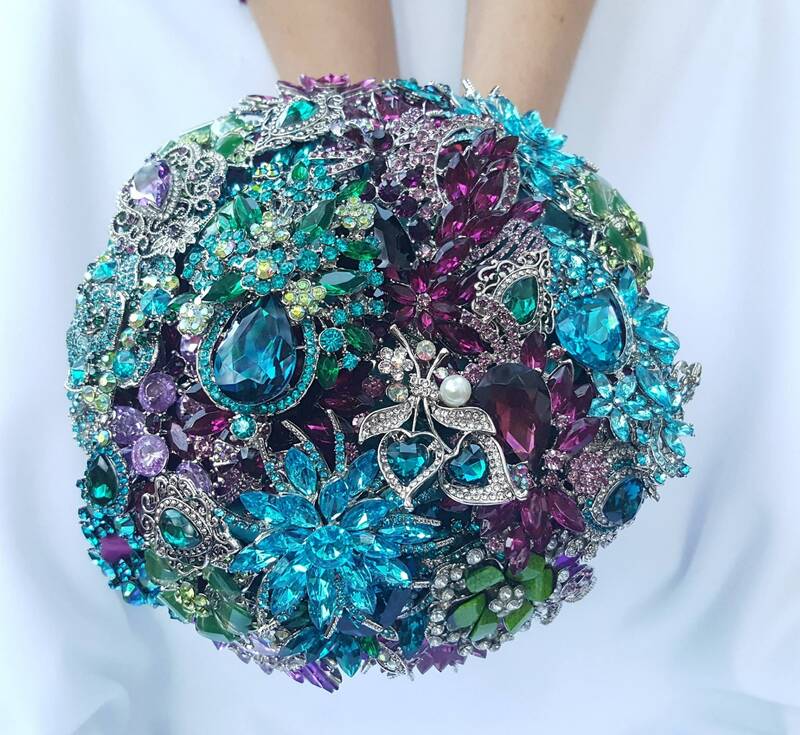 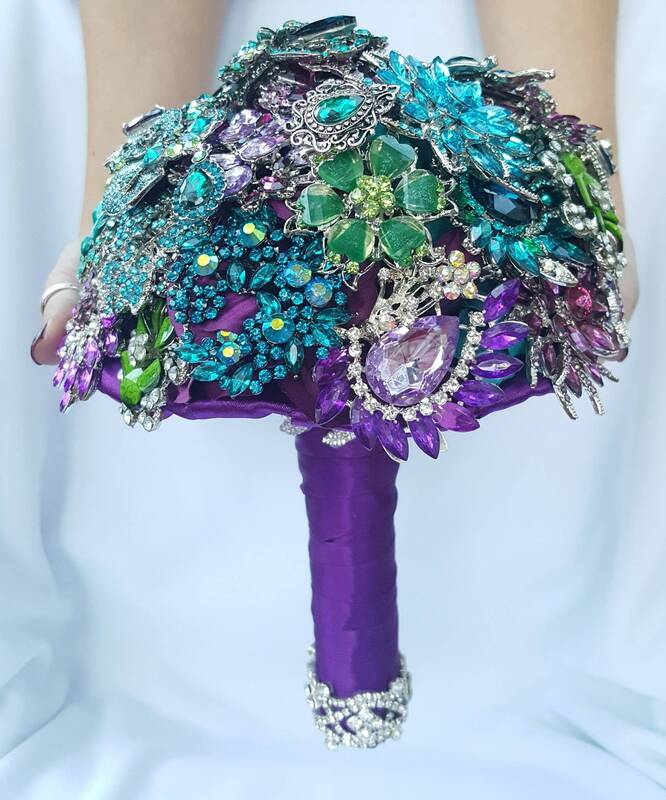 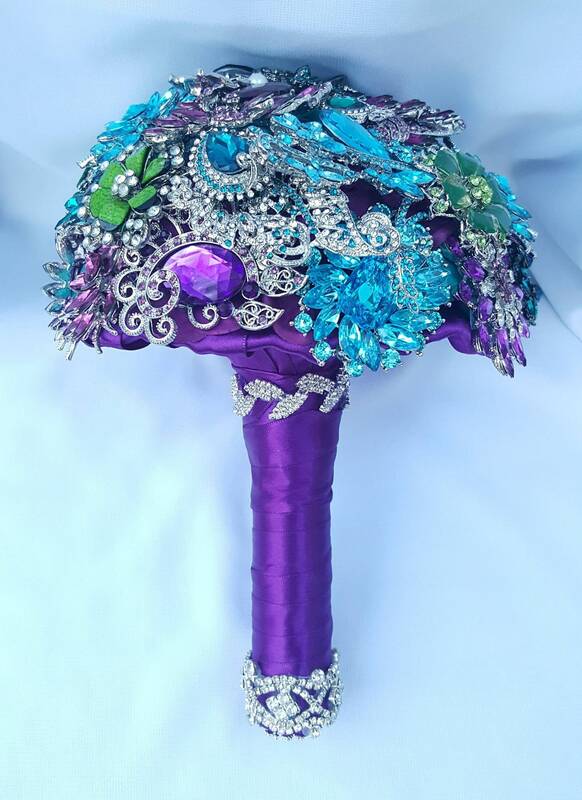 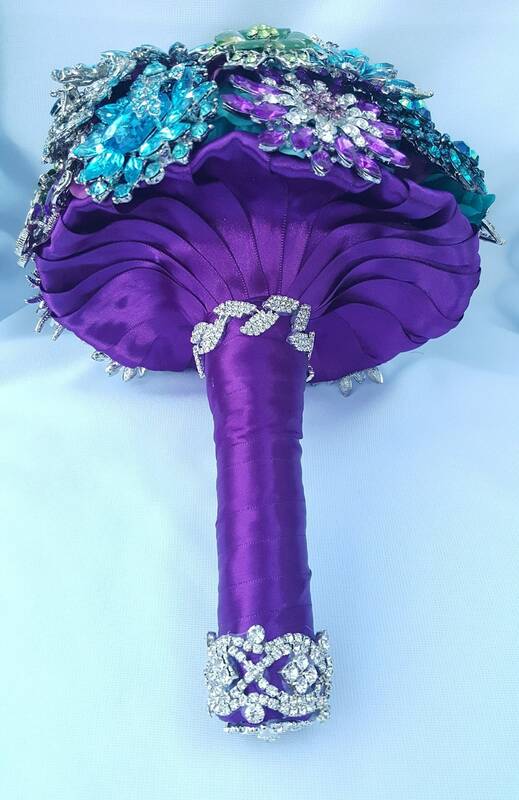 This listing is for a DEPOSIT on a completely customized bridal brooch bouquet. 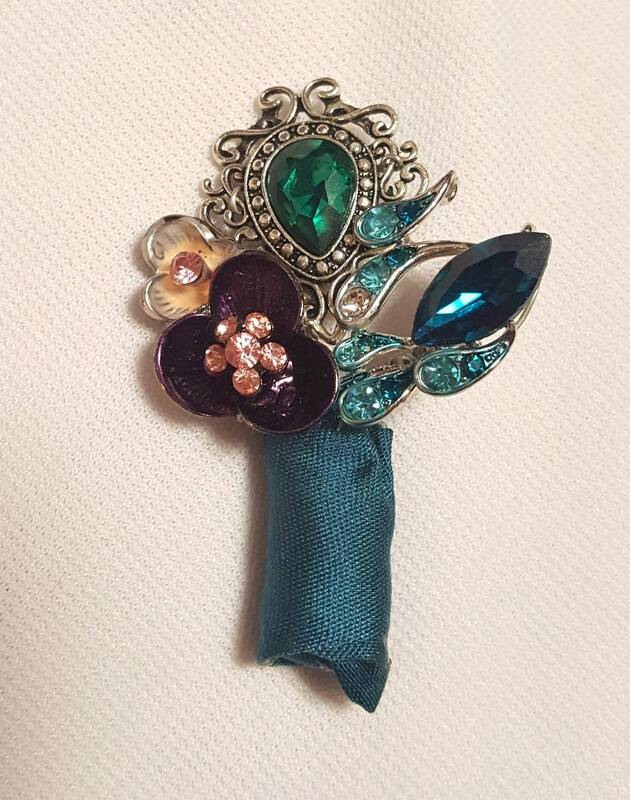 Boutonnieres are an additional $20 ea. 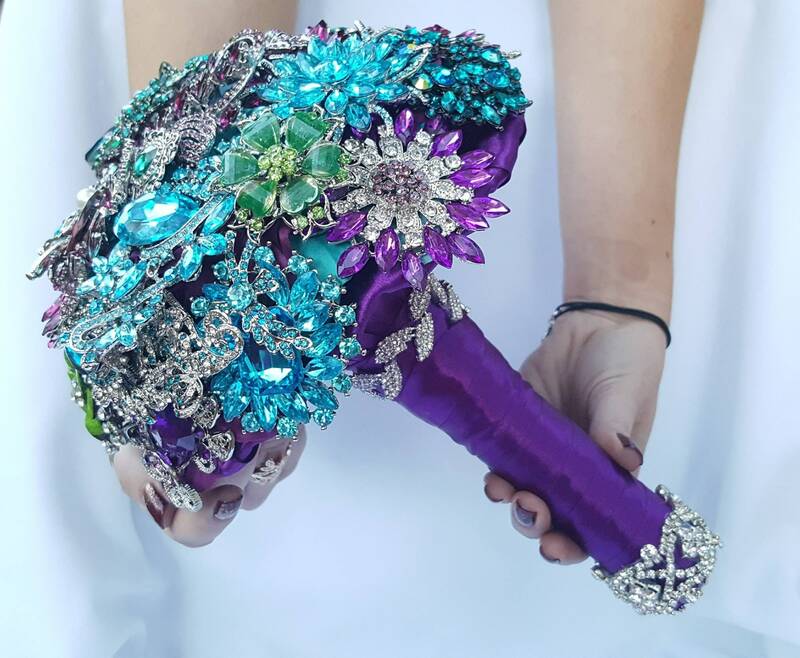 The pictures are of a sold 10 inch bouquet. 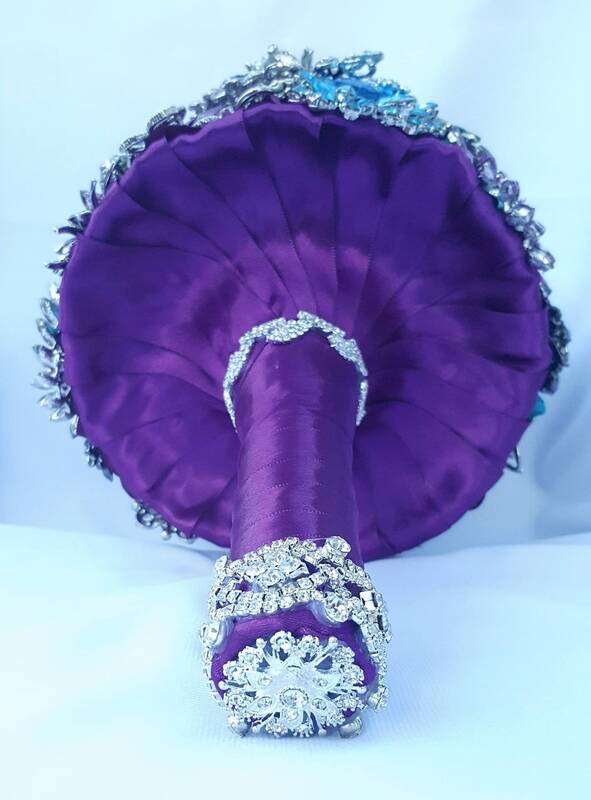 To order send me a message or click on Request a Custom Order below the pictures. 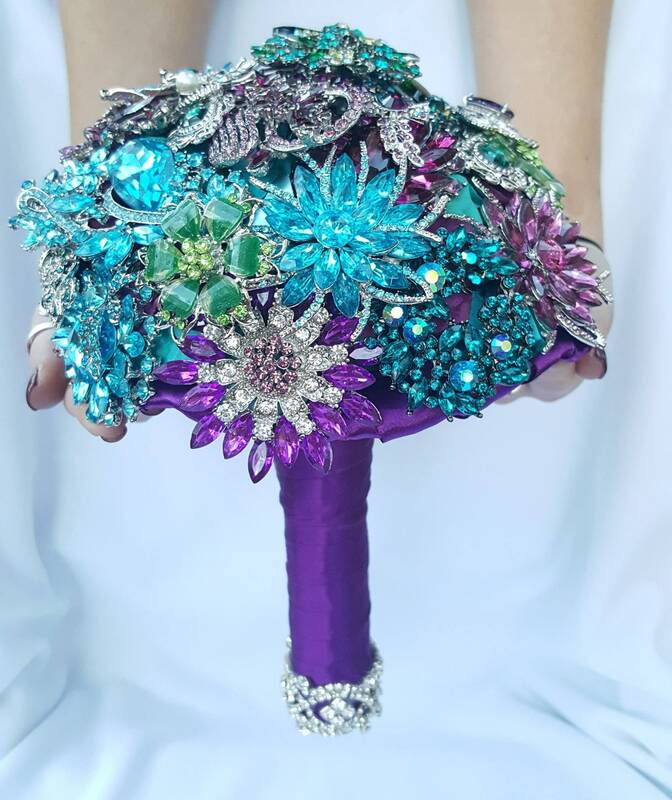 Mention desired colors and due date for your bouquet and if you are ordering any other items (toss bouquet, bridesmaid bouquets, boutonnieres etc.) 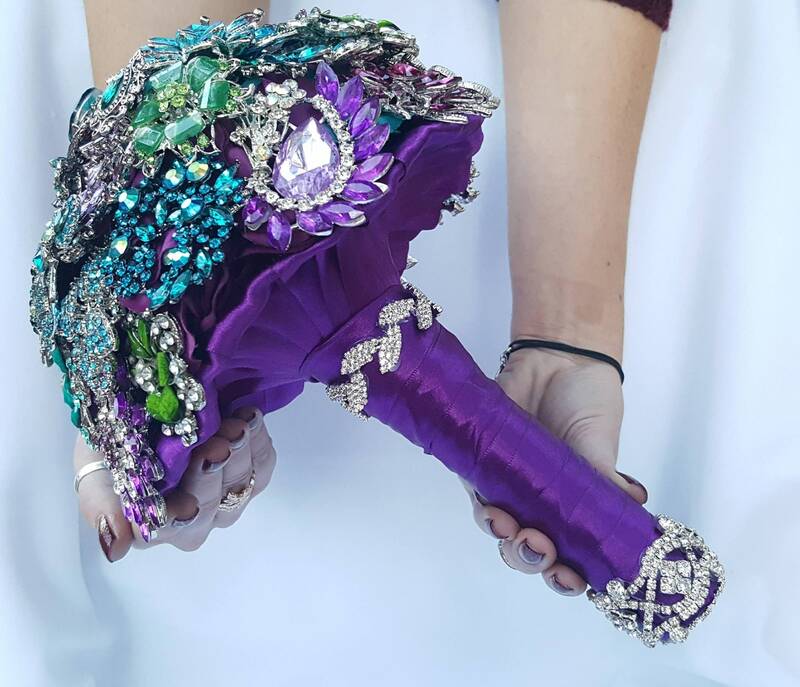 Bouquets are measured across the top looking down to the middle of the bouquet "crown").